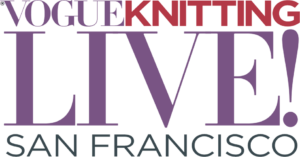 I am excited to announce that I have been invited to exhibit in the Art Gallery of Vogue Knitting Live San Francisco. September 21-23, 2018. 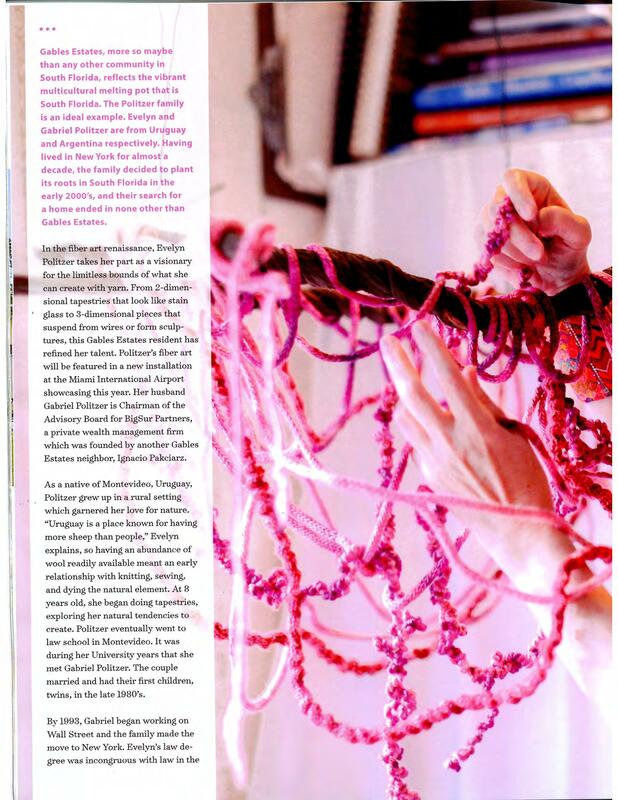 Happy to participate in this exhibit by ArtServe, Ft Lauderdale. 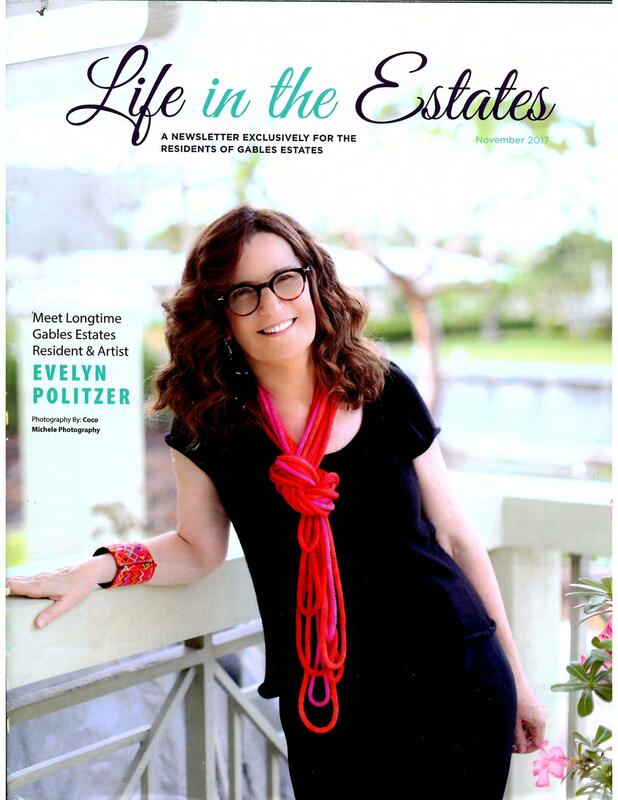 To read the article in full, please click here for the pdf version. 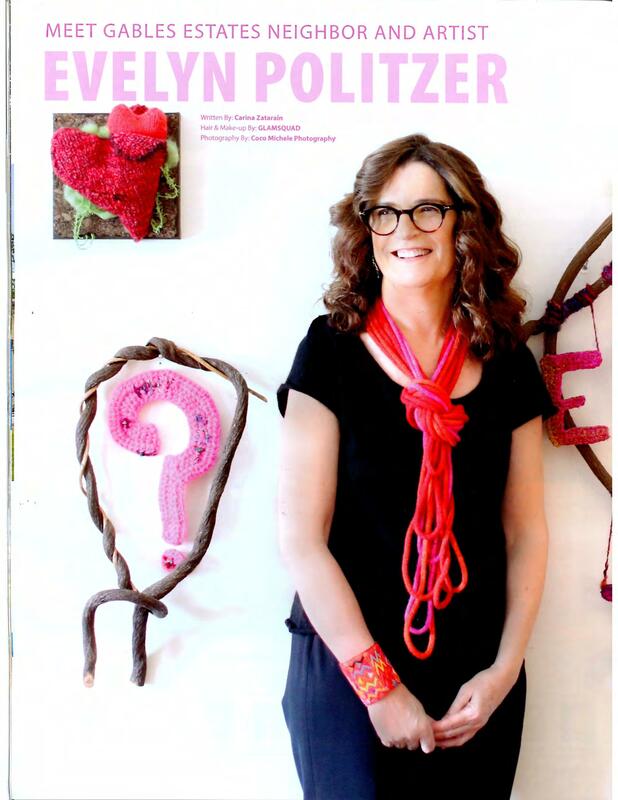 Artist Evelyn Politzer expands our appreciation of fiber arts and the techniques of knitting and crochet as artistic forms. Her creative expression offers a bridge between the history of craft and “women’s work” and present concerns regarding the natural environment. 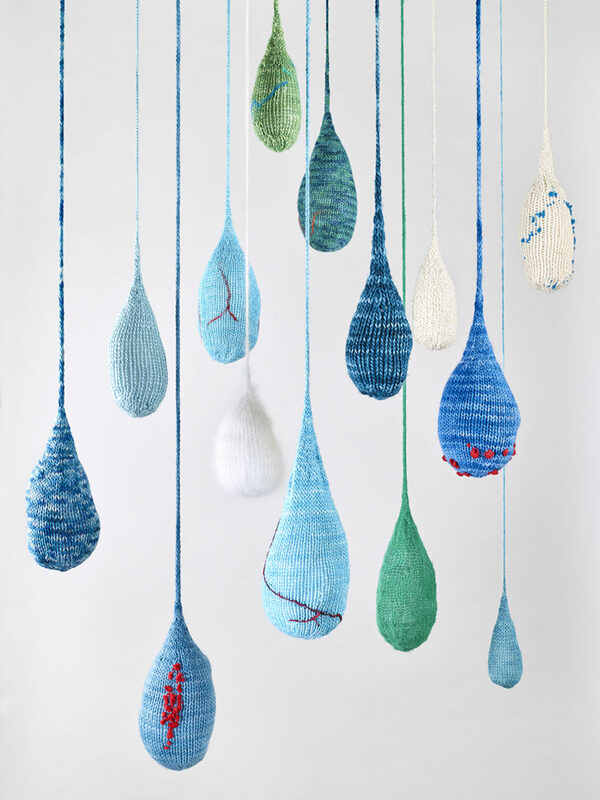 In this installation, Politzer aims to bring our attention to the beauty and fragility of nature, presenting us with evocative forms that stimulate us through their use of color and texture. Her nested structures, in particular, are tender and sensual, their color range suggesting warmth and nurturance. Maternal concerns are often present in Politzer’s work. The adjacent more serene installation, suggestive of aqueous elements, not only presents a visual juxtaposition but is also a reminder of the importance of water conservation, a major issue in Politzer’s immediate community. “Every drop counts,” is a slogan in the local educational system. 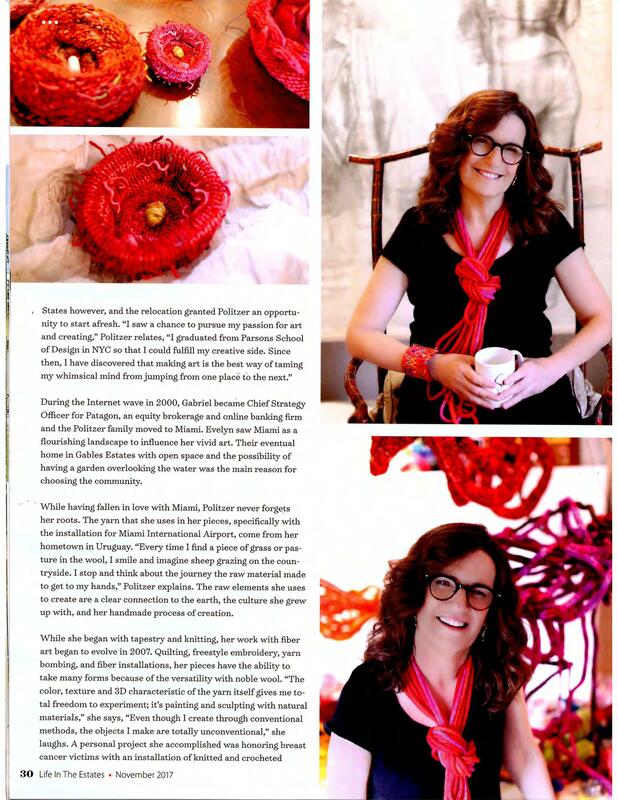 My beginnings were in tapestry and knitting. 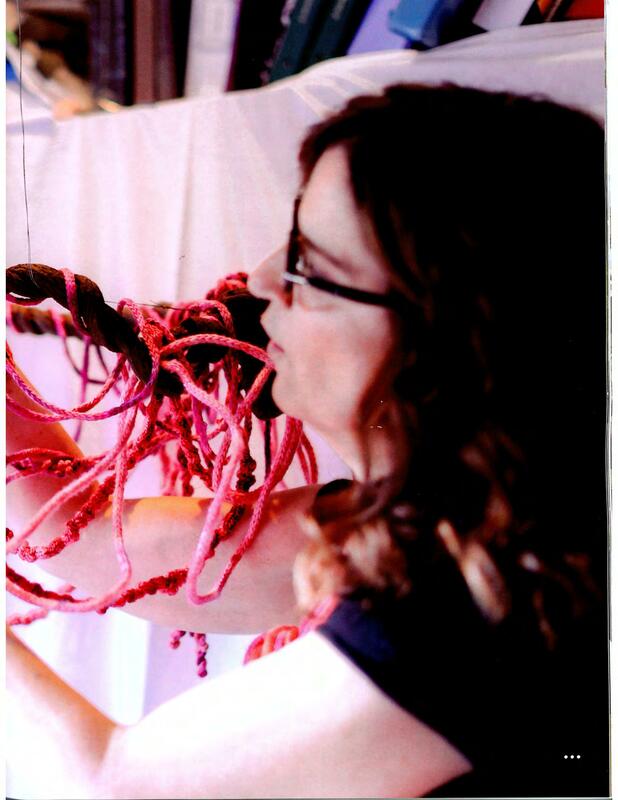 Quilting, yarn bombing and fiber installations followed my ever-evolving fiber path. After attending law school in Montevideo, Uruguay and moving to the United States, I saw a chance to pursue my passion for art and making things. I graduated from Parsons School of Design in NYC, so that I could fulfill my creative side. I now live and work in Miami, Florida. 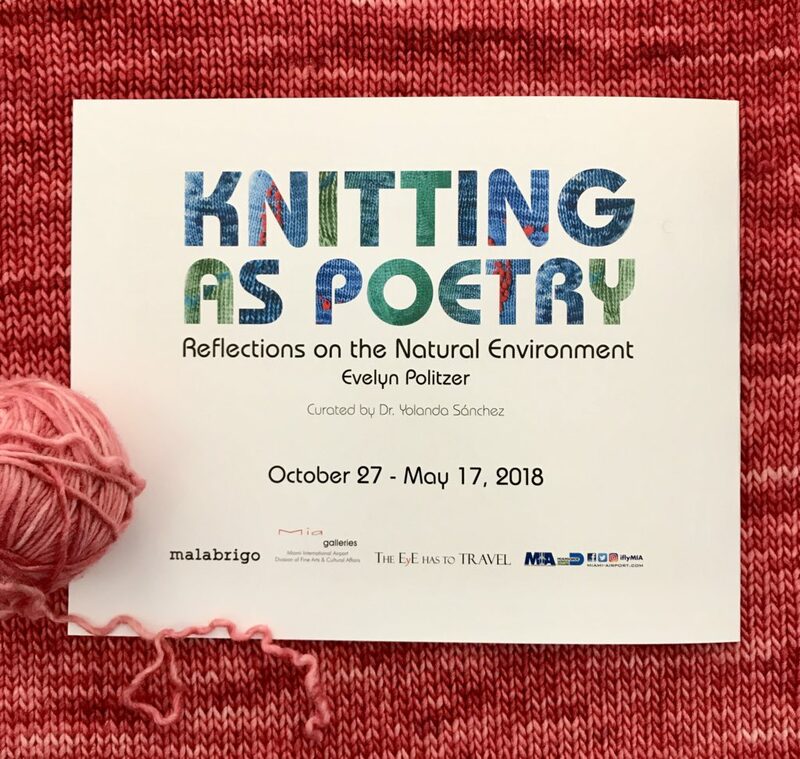 malabrigo provided all of the high-quality, hand-dyed yarns used in this exhibition. A family-owned yarn company located in Uruguay, for their sponsorship of this exhibition.